The question is why to buy a small hatch when you can get hold of a full-bodied car which is a champ of the rallies? In India there are few cars who can claim the credentials and parentage that Mitsubishi Lancer has. It’s a salon which has kept winning hearts and minds through a number of years in its different evolutionary stages. Lancer which in her days was counted amongst the costliest cars is now available for a little in the used car lots. If you are game to lay your hands on a craftsman’s marvel, forget putting your moolah on a small hatch back. You will certainly get an ego-boost trip coupled with driving pleasure for free as part of the whole deal. Being able to provide enough space for corporate exec egos have been a challenge to car marketeers all along. A used Mitsubishi Lancer has enough space for them which made it an instant hit with tourist operators and a fleet favorite for the companies. It was launched in both the avatars namely petrol and diesel variants. The petrol version was the fleet favorite of the corporate while the tourist lobby mopped up the diesel version. The used Mitsubishi Lancer would not be a pampered baby, all it asks for is a regular service check-ups. It usually will cost the same as any mid-size car. The 1.5 L engine isn’t a big drinker either. Spares which were once costing a bomb initially are well within range, courtesy to the localization. 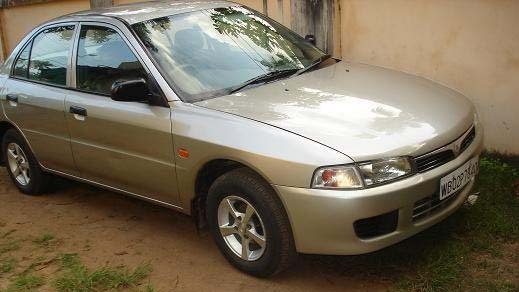 The cost of a new Lancer in 2004 was about Rs 5.50 lakhs whose value now is estimated at Rs 3, 8,000. Its main rivals are Hyundai Santro, Maruti Suzuki Wagon R, Tata Indica, Fiat Palio, Maruti Suzuki Swift and Estilo. The most early model, the six year old GLXI car, which were the most popular, are available for as little as Rs 3,00,000. Obviously the four and five year old cars are a bit pricier and are valued at Rs 3, 50,000-Rs 4, 00,000. The sportier versions namely SFXI and the luxury SLX are made available for a whopping Rs 5, 00,000 and more. It is always advisable and safest to pick a car with a service track record and that too preferably from a company. There are quite a few companies which are on the verge of selling off their entire fleet of Lancers since they are reaching the 5 year mark. It is advised to stay away from the cars that have been used for tourist duty since they will have been more on the road as is usually the case, and further are not driven with any compassion for it. The one thing makes the Lancer stand apart is the suspension that is an inherent part of it that can take on a bad stretch of road with aplomb and not come out bruised and beaten as a lot of Japanese salons do. The Lancer has a fairly high ground clearance and it does tend to drive a bit stiff, needless to say a used Mitsubishi Lancer’s would be much softer. The cabin is airy and fairly spacious, it may be a bit drape considering new designs, it is still built reasonably well so that a 5 year car will be quite rattle and squeak-free. The chassis of the Mitsubishi Lancer give a perfect weight balance when you are in the driving. Its understated but generally clean lines make it a handsome hunk. Rusting is not an issue with the car unless it has been done duties near a coast or in worst case a bad accident-repair job. A car that has tons of pleasure to deliver, is built well and has decent sized boot, one should forgo buying a hatch back and have a serious look at one of the used cars proposition. With reliability personified, the 1.5 Litre engine will never let you down. It’s undoubtedly a case of, a wolf in sheep’s clothing.